Like most young girls, four-time Olympic gold medalist Simone Biles struggled with body image and confidence issues. When she needed a support system, she turned to her gymnastics teammates. "We all had similar body types, so it was easy to go to the gym and talk to them and realize we wouldn't be able to do the skills we do if we didn't have these bodies," she says. Biles, 20, knows not all young girls have the support of teammates like she did, so as she prepares to return to competitive gymnastics and make a run at the 2020 Olympics in Tokyo, she has partnered with Target and Always to become a spokesperson for Girls on the Run, a nonprofit that helps young girls gain confidence and life skills through running. 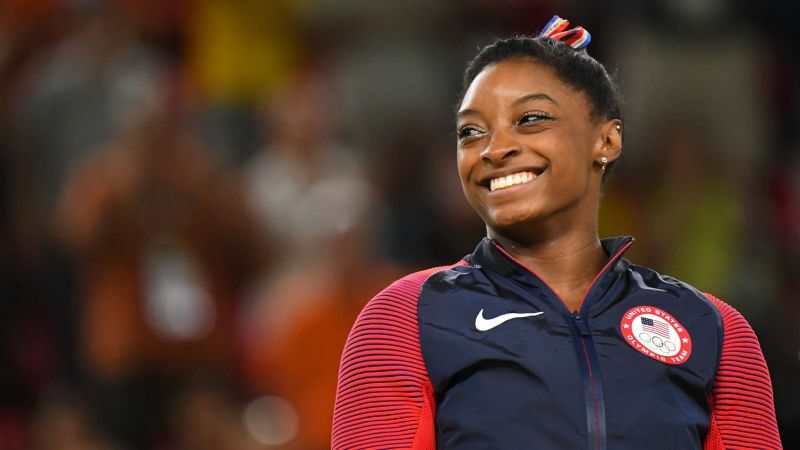 Target and Always have partnered to donate $1 million to GOTR to help the organization achieve its goal of reaching 2 million girls by 2021.
espnW caught up with Biles to hear about her work with Girls on the Run, her recent coaching change and her much-anticipated return to gymnastics. Originally after the Olympics, I only planned on taking one year off, no less, no more. It's just personal preference because if you take more than a year off, you can find it's harder to get back into it. Gymnastics is a year-round sport and we don't get breaks. Most of us athletes don't take time off throughout our entire careers. Fortunately, a lot is muscle memory. But there are some things I look back at and am like, "I have to do that again?" It wasn't scary before, but it's scary now. There are some things I look back at and am like, 'I have to do that again?' It wasn't scary before, but it's scary now. Nov. 1 is my official day to start training with my new coach. So we'll see how that goes and where that takes me. I've just been doing a lot of conditioning and getting back the basics. I've never taken a break from gymnastics, so it's weird to see how I've lost muscle mass. Trying to do the same things feels different. I have previously worked alongside coach [Laurent] Landi and been on teams with girls he coaches. He is also in Dallas, which is not that far of a move to Houston. He is an amazing bar coach, so we thought we would be a good pair. It'll be different, but I think sometimes you need a little bit of change in your life to succeed further. Change is good. Aimee [Boorman] moved to Florida and my parents own the gym [where I train], so it would have been hard to leave and still rep this company and my family business. We still keep in touch. Mentally and physically, I've given myself a rest. We've gone through a lot our entire life and it feels like a job after a while. You don't know what life is like without gymnastics, so it was exciting to get a little feel of what that was like. I think it will be a different atmosphere [on the national team] now that Martha Karolyi has retired. [New national team coordinator] Valeri [Liukin] is a good coach and leader and I know he knows what is right for Team USA and I hope we can stay at the top. But it was sad seeing Martha go. She built quite the legacy. 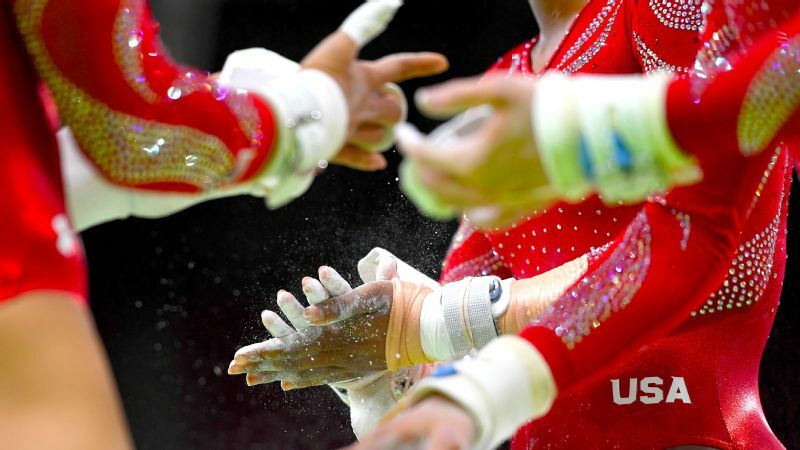 In wake of sexual abuse scandal, what's next for USA Gymnastics? The [national team members] are all very much newbies, so I will try to be a leader and role model in every way I can, guide and help them throughout competitions, be their mentor. 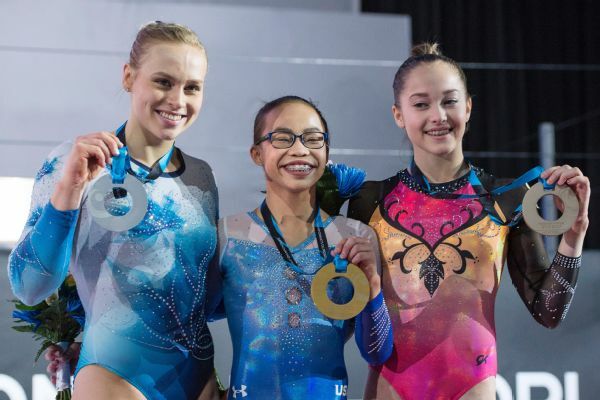 At world championships [in October], I think all the girls handled the pressure really well. A lot of them haven't been on the international scene very long. Jade [Carey], it was her very first international assignment ever, so I think they all rose to the occasion and dealt with the pressure and the eyes really well. As for Morgan [Hurd], she showed how strong her mentality is. It's special that I can be a spokesperson for Girls on the Run. I know a lot of the girls watched the Olympics and are going through the same things I went through when I was younger and struggling with body confidence and not wanting to do sports. They can get together in little teams and train and it's not about who is the fastest runner at the 5K. It's about learning teamwork and the important life skills sports teach. It's the will to keep going. I feel I'm still pretty young, even though I'm older for a gymnast. I haven't decided my goals so far. I'll make those once I get back into the gym and see what is ahead of me. I know a lot of my Rio teammates haven't announced their return. Some have gone on to college and it's their decision whether to return. It is hard growing up in elite gymnastics, fighting for spots. It's not easy on our bodies and our minds. We go through a lot. It's exciting if they come back, and if not, I will support them in everything they do. But I hope some of them come back.